A summer cocktail of chill out, electronica and ambient. 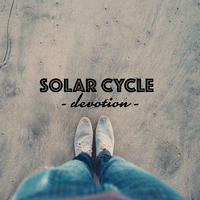 Solar Cycle's new album Devotion is easy listening music created after a long production break. This range of lounge music encompasses rich and beautiful sounds - influenced by instrumental, modern electronica with chillout, house and downtempo, while remaining thematically focused on its retro-space-age elements. Just lay back and enjoy Solar Cycle's new sound! License A summer cocktail of chill out, electronica and ambient by Solar Cycle for your project. Play the music of Solar Cycle in your restaurant or store. The M Edition by Processor: industrial acid house.